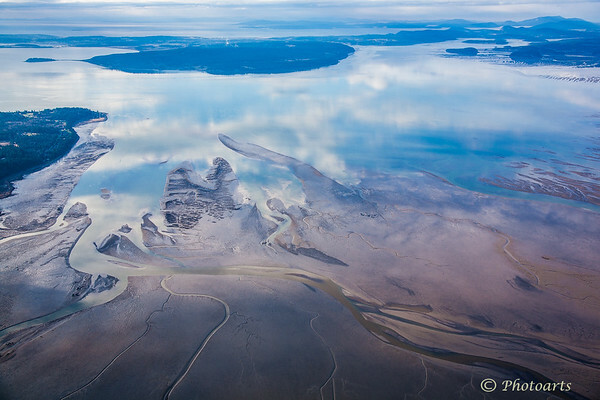 Amazing patterns and colors lead the eye over the Skagit river delta as it pours into north Puget Sound toward Whidbey Island. Amazing sight !! Sometimes, one does envy the birds, they get this all day long ! Wonderful shot of those awesome reflections. So very beautiful .... what an amazing planet we live on!